Older white guys: Why don’t we hear enough from them? It’s a question TV sitcoms have been asking for years, with the Archie Bunkers and Lastmen Standings of the world demanding that their patriarchal needs be met. Well, CBS is finally listening, releasing trailers for three new sitcoms in which the aging Caucasian male finally gets a voice. Specifically, the aging, white, male, former sitcom star, with Kevin James, Matt LeBlanc, and Joel McHale each getting a platform on which to expound about kids these days, these damn millennials, etc., etc., etc. 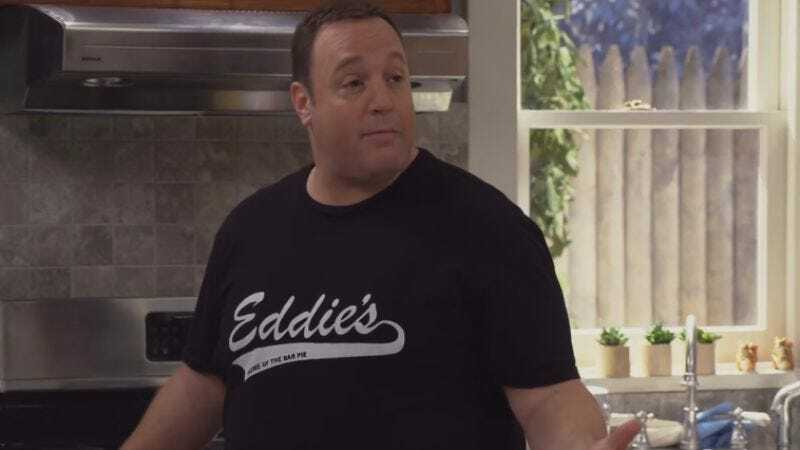 First up, we’ve got a trailer for Kevin Can Wait, in which Kevin James plays a large-sized man, confused and annoyed by the trends of modern life. Next up is Matt LeBlanc’s Man With A Plan, about a father forced to navigate the world of stay-at-home dad-ing. It stars Leblanc as a small-sized man, confused and annoyed by the trends of modern life. Finally, we’ve got The Great Indoors, with former Community star McHale starring with Christopher Mintz-Plasse and Stephen Fry, as a man’s man forced to babysit the staff of an outdoors-focused magazine. In the process, McHale will play a medium-sized man (well, 6’4”, but go with us here), confused and annoyed by the trends of modern life. Anyway, we can’t wait for the inevitable sitcoms crossovers between these new shows, which will presumably feature a character named Goldilocks, and a chorus of respected comedy actors bitching in unison about Instagram.